Fancy designs and distinctive prints do not get you anywhere when it comes to a good knife. 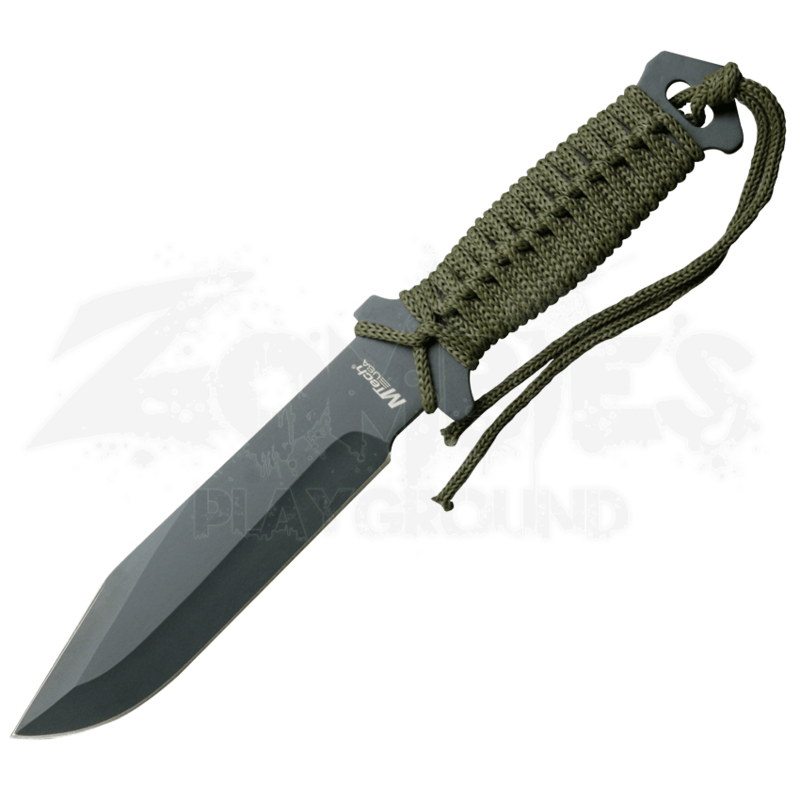 What you really need is a solid design that is rugged, reliable, and useful, like this Black Steel Combat Knife. There is no muss and no fuss - just pure utility. This knife is every inch a rugged little survivor, featuring a utilitarian design that has been stripped down to the bare-bones essentials. This knife is constructed entirely from a single piece of blackened 440 stainless steel, giving it a hardly durability and a sleek black finish that is perfect for discreet ops. The blade features a classic drop point, which gives it plenty of strength and a blade made for cutting. The point is a bit less acute as a result, but is still plenty effective at piercing and thrusting, should the need arise. The knife has a small guard, while its full-tang hilt is wrapped completely in green cord to offer a secure and comfortable grip. The tail-ends of the cord-wrap are fed through a small hole in the hilt and tied off for use as a lanyard. The knife includes a nylon sheath, for easy carrying and storing. 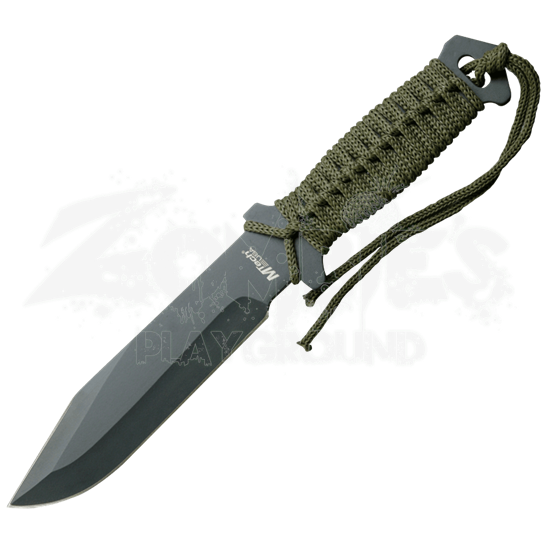 Small yet effective, this Black Steel Combat Knife is a rugged little blade that any survivalist could stand to carry, as it can be put to most tasks with shocking ease and efficiency.